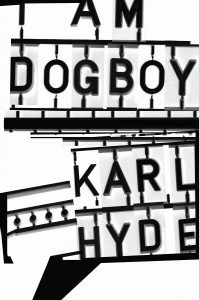 ‘I Am Dogboy’ by Karl Hyde, a book of diaries, autobiographical narrative, photographs & abstract poetic pieces. In 1999, Karl began writing a public diary. Every day since then, he has documented his thoughts, lyrical works-in-progress, poetry and biographical essays alongside ‘found’ visuals. For the last sixteen years, these entries have collectively created an on-going, utterly unique monologue on underworldlive.com. 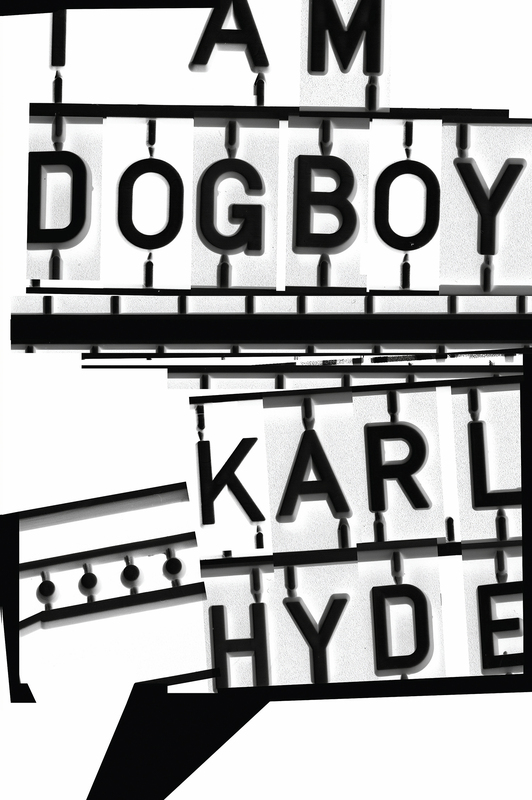 ‘I Am Dogboy‘ by Karl Hyde, is beautifully designed by John Warwicker – Hyde’s long time collaborator and co-founder of the tomato collective. Karl Hyde and John Warwicker have previously published the typographic books ‘Mmm… Skyscraper I Love You’ and ‘In The Belly of Saint Paul’. Karl will be appearing at the following events in conversation about the book, with visual accompaniment, and signing copies afterwards. For the Underworld Edition box, Karl has created a special painting, inspired by “I Am Dogboy”, this one off piece of art will be divided into 100 pieces. Each special edition will include a piece of this unique artwork and will also be personally signed by Karl & includes a underworldlive.com exclusive tote bag. We have unearthed a few copied of ‘In the Belly of Saint Paul’, which is available with the Underworld Editions box or with the book. All pre-orders at underworldlive.com includes exclusive tote bag.